Looking for the Best Graphics Cards for gaming in the market? If yes, then this is a place where you can find one. Buying a graphics card is not much exciting as purchasing a high-end monitor or a CPU. But the graphics card also plays an integral role in making a high-end gaming setup. When we consider graphics cards, Nvidia and AMD are the two most popular and widely used brands that are used to be considered. They are used because they provide a quality product and assure the best performance. In this article, we are also going to provide you with a list of the best graphics card for gaming which are the products of Nvidia and AMD. If you are heading to make a high-end PC which you dreamed of, the graphics card must be on top of your list. It should be, as it is the most integral part while building a PC setup. A good graphics card increases the performance to the next level. It even allows you to play games in high resolution. Therefore providing you with a smooth gaming experience. There are many graphics cards available over the web. Many of them are overpriced too. This creates a lot of hype in the buyers which directly leads to incoming of confusions. Therefore, to clear all the doubts, we have created a list of best graphics cards which are handpicked. First on the list hits the ASUS GeForce RTX 2080 O8G ROG STRIX OC. 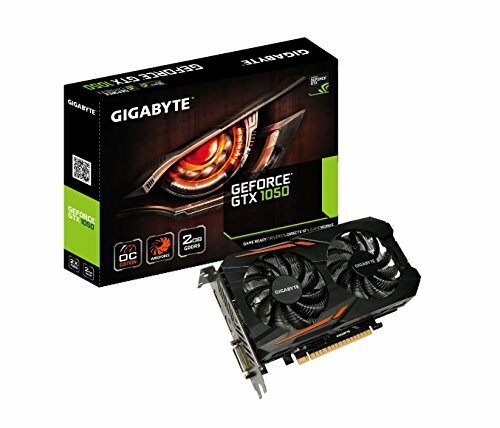 This graphics card is considered one of the most popular and widely used. It is just because of the performance that it provides. It is the fastest graphics card for ray tracing, 4k gaming and for everything you do on your PC. This is the latest GPU and most consumed graphics card. For increasing the performance to the next level, Nvidia has added the tensor cores in it. This greatly helps to pump up the ray tracing. 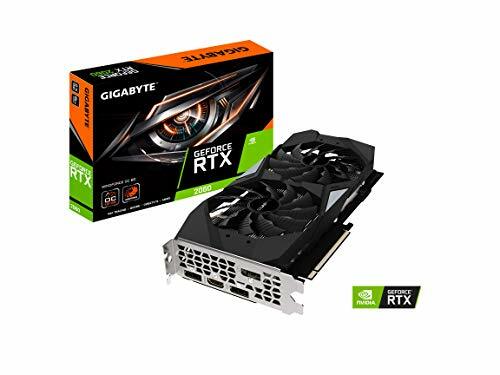 If you are looking for a graphics card that can provide you with value for money, then this might be the best option to be considered. It is also one of the graphics cards which can perform the fastest on 4k displays. It has been priced at $789.99. One of the fastest graphics card to provide outstanding performance. Comes packed with deep learning tech and ray tracing features. No Ray tracing games yet. Second, on the list hits the Nvidia GeForce RTX 2060. The biggest complaint with the graphics cards of Nvidia was the pricing factor. It used to be very high and everybody couldn’t afford it. But this graphics card is one of the best and has been considered as the most value for money product. The best thing about this graphics card is that you can play high-end games at max graphics settings without any lag. Moreover, you will get a smooth gaming experience without frame drops. With this one, you can even break out into 4k too. Another highlight of this graphics card is that ray tracing is also possible at 1080p. It has been priced at $369.99. Remains cool even at high performance. Allows you to do Ray tracing at 1080p. The price is a bit higher than the previous generation graphics cards. 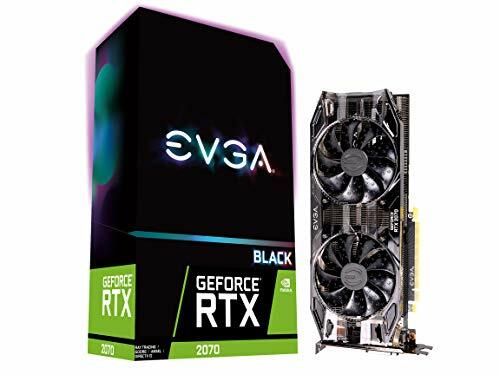 Third, on the list hits the Nvidia GeForce RTX 2070 Black Gaming. 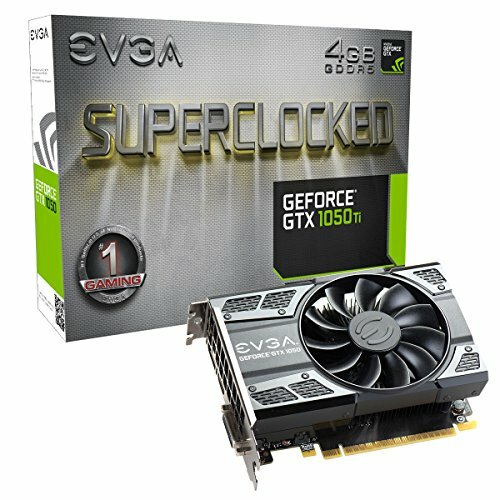 This graphics card is considered just perfect for 1440p. 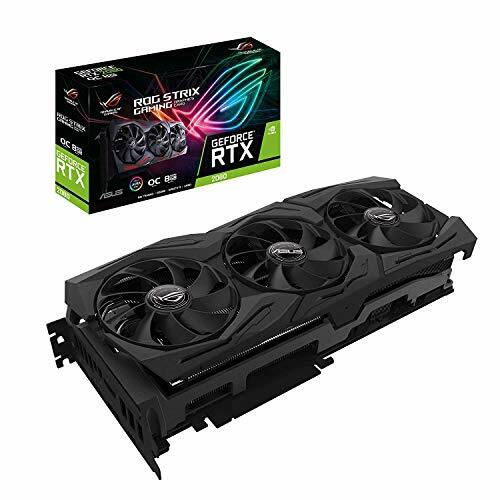 This GeForce RTX 20 series are powered by latest Nvidia turing architecture. This gives you access to experience the new levels of gaming, realism power and speed. This main highlight of this graphics card is the advanced overclocking features. Thus providing, the smoothest gaming performance. Nobody likes to experience lag while playing any game. Therefore, to get an amazing gaming experience, choose the right graphics card. It has been priced at $499.99. It allows you to play games at both 1440p and 4k. Consumes low power as compared to others. Now comes the hottest graphics card launched by AMD yet. This graphics card provides an amazing graphics experience. It is one of the best graphics cards which can provide you with the best experience while doing gaming at full HD quality. 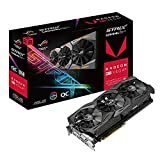 RX Vega 56 works best on monitors with a refresh rate of 144 to 240Hz. Expecting a great performance on 1440p is quite normal with this graphics card. For the price range, it is best in this segment. The 8GB HBM2 memory makes it more powerful and forces it to provide more optimized performance. It has been priced at $519.79. Gives you access to play high-end games at max graphics settings. Becomes hot if done intensive gaming. Uses a lot of energy to operate. 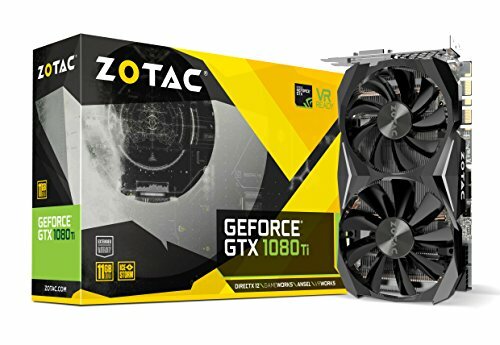 Fifth on the list hits the Zotac GeForce GTX 1080 Ti Mini. This graphics card is best in the mini graphics cards field. It has been said as the smallest 1080 Ti in the world. If you are heading towards building a mini-ITX or Micro-ATX computer, then believe us, this is the best to be considered. As the size is reduced therefore the power is also reduced. It does not have the great GPU to run all the high-end games. But if you are looking to play some low-end games or for editing purposes, then this is the best graphics card for you. It has been priced at $809.99. Considered to be the world's smallest 1080 Ti graphics card. Makes a lot of noise and becomes hot if over-used. Sixth on the list hits the Nvidia GeForce GTX 1050. 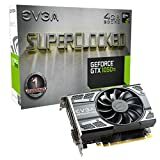 This graphics card is considered to be the best budget graphics card. The overall performance of this graphics card is value for money. Moreover, it is not much higher priced as the others are. On paper, it shows that it has only 2Gb of memory. Many people think that 2Gb cannot perform well. But they are wrong, even having 2Gb video memory it gives a superb performance. Obviously, 2gb memory is not enough to play high-end games but in this price segment, it is the best one. It has been priced at $139.99. Small form constituent for miniature cases. 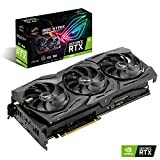 Best affordable for all graphics card. 2gb of video memory which limits the performance. Seventh on the list hits the Nvidia GeForce GTX 1050 Ti. This graphics card is said to be one of the best eSports graphics cards. It is quite competitive in the fields of both price and eSports. A good experienced eSports player will always recommend playing eSport games in full frame rates for a better experience. Nvidia always keeps the requirements of its customers in their mind. Therefore, for the betterment of you people, Nvidia always tries to provide the best features out of the box. This graphics card can play eSports games at more than 60fps. It has been priced at $216.80. Eighth on the list hits the GIGABYTE GeForce RTX 2080 WINDFORCE OC. It is one of the most popular and best graphics cards of all time. It is considered to be the king of VR gaming. The higher number of stream processors forces it to provide the best quality graphics output even in 4k. If you are going to play VR games and want to experience it by heart then a good graphics card is a must. Therefore, after analyzing all the features, this graphics card comes out to be best for VR gaming. Not for VR gaming particularly but it is powerful to play any of the high-end games present at today’s time. It has been priced at $709.99. Dedicated VR connections to provide more stability. You must have learnt that CPU is the powerhouse of your computer, therefore having a high-end CPU for gaming is quite necessary. But to play the high-end games and obtain a smooth experience, a good graphic card is also necessary. To avoid the confusions and clear the hype, we have provided a list of best graphics card for gaming with pros, cons and key features too. Therefore, you can easily choose a graphic card that suits you the best. Having a high-end CPU but a poor graphic card with drastically decrease the performance and you will experience much lag while playing games. The performance of graphics cards is not only the main factor, but the compatibility of it’s drivers also matter a lot. Thus, to choose the best graphics card that can be proven value for money, check out the above list.